Some paddlers love the challenge of kayaking in open water, others prefer the quiet of inland waterways. You can have it both ways with Orange Beach and Gulf Shores kayaking, with launches from the Bon Secour River and along the back bays of Orange Beach and Gulf Shores’ Little Lagoon. Parasailing combines boating and flying all rolled into one. Wearing a parasail, you’re pulled along by boat until you reach an altitude of about 800 feet. 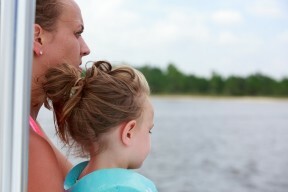 Then you coast over all the beach action, taking in the spectacular scenery of Gulf Shores and Orange Beach. Coming down is a breeze as well. The captain slows the boat until you gently float back onto the boat. No stress included when you go parasailing in Orange Beach and Gulf Shores! 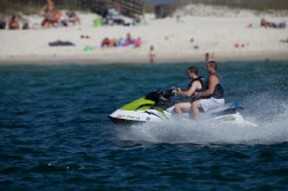 Riding a Jet Ski puts you in charge of a motorized water vehicle. Seat one or two passengers and zoom across the waves, creating a cool wake behind you. Those with the need for speed can go full throttle, or slow it down to look for dolphins on a Jet Ski tour. 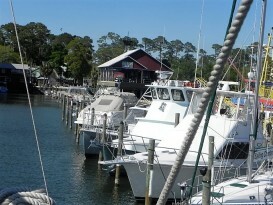 Gulf Shores and Orange Beach are majors capital of Gulf Coast diving and spotting old wrecks. The waters off coastal Alabama are home to dozens of artificial reefs created by intentionally scuttled ships, tugs, barges and tanks. Not certified? No problem! 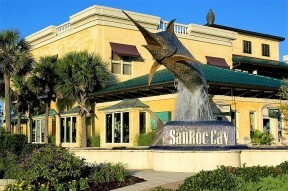 Local scuba shops offer instruction and can get you certified in no time. 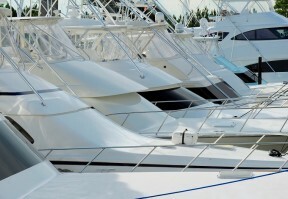 You’ll find boats of every size and style sailing through the waves with Orange Beach and Gulf Shores boat rentals available at local marinas. Families and friends can opt for double-decker pontoon boats (some come with slides) or party boats built for fun and relaxation as groups head out toward the horizon together. 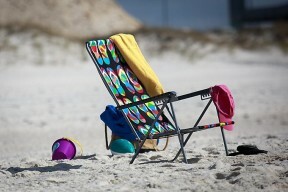 There are beach equipment rentals aplenty for those who want to hang 10 in the Gulf or skim the waves on a boogie board. The popular Stand-Up Paddling (SUP) is huge here as well, with folks heading out on Gulf waters or propelling themselves across tranquil inland waterways to enjoy some sightseeing as they glide along. Then there’s the madness of banana boating. A group of six is pulled behind a motorized boat on a large inflatable cat-style “double banana.” Hold on tight! 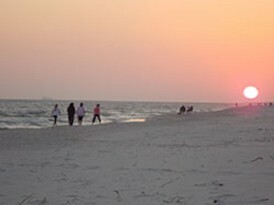 Get your feet wet with water sports and a trip to Alabama's best beaches this season! Book your Gulf Coast vacation rental today with a Gulf Shores or Orange Beach condo rental, hotel, or beach house rental to start your water fun!